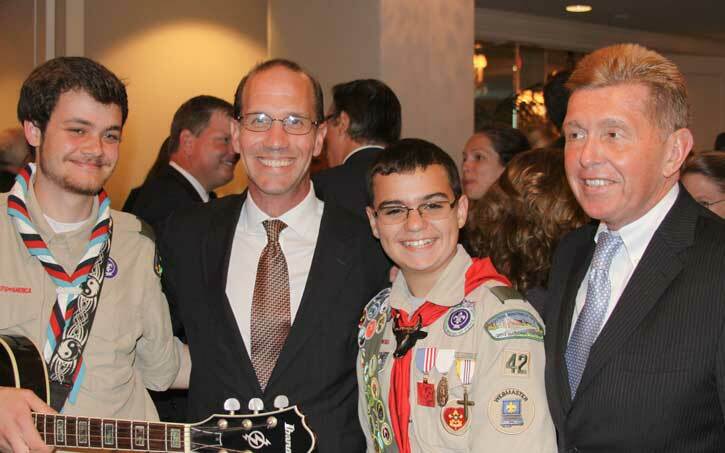 Highly accomplished Boy Scouts of all ages shared the stage with some of Boston’s most dynamic business and community leaders at Boston Minuteman Council’s 38th Annual Salute to Scouting on September 30. 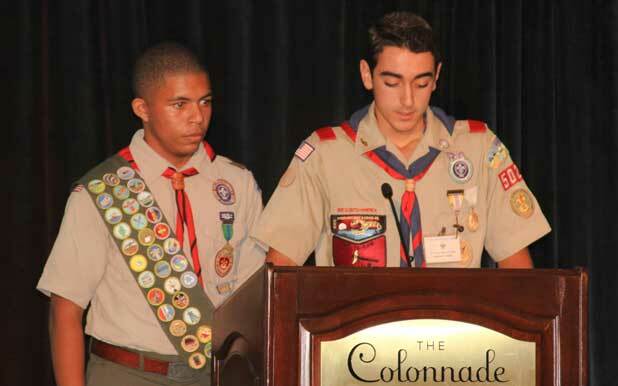 It was a very special event and a great opportunity to show Colonial Systems’ support for the Scouting program. 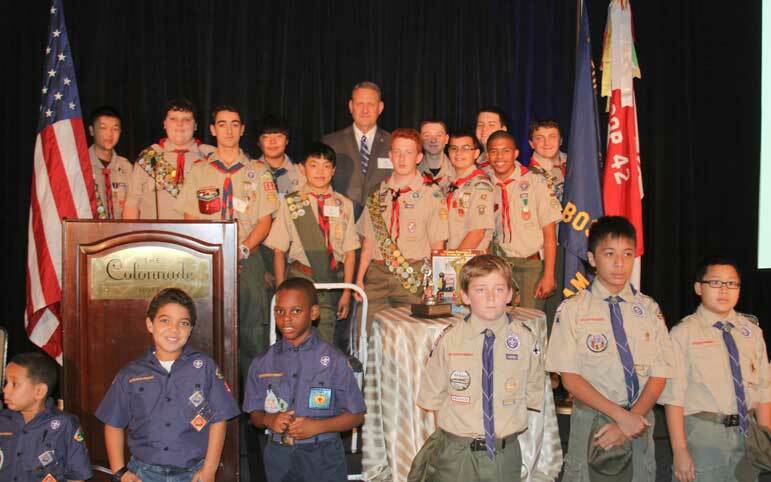 Colonial Systems is proud to have been a corporate sponsor of Boston Minuteman Council’s 2014 Salute to Scouting. The event, which was held at The Colonnade Hotel in Boston’s Back Bay, also recognized the Scouting programs of the Yankee Clipper Council. 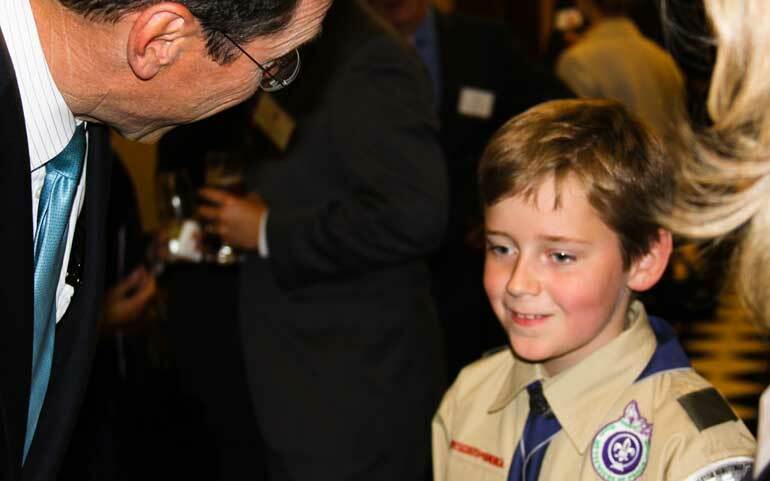 Ray Theberge, our senior vice president, was very much in his element as Colonial’s official representative and the host for the Scouts who dined at our sponsor table. 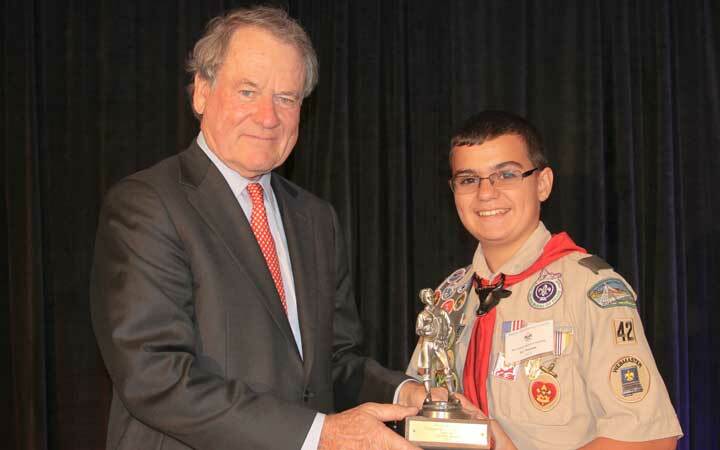 Ray has been closely involved for many years with the Boy Scouts of America’s youth development focus in the Boston area. He is a member and past commissioner of Boston Minuteman Council. 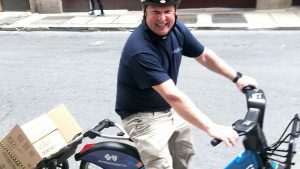 He is also a Scoutmaster and the parent of a current Boy Scout, Lucien Theberge. Boston Minuteman Council encompasses 32 Boston-area communities including the city of Boston. The Yankee Clipper Council serves the Merrimack Valley. 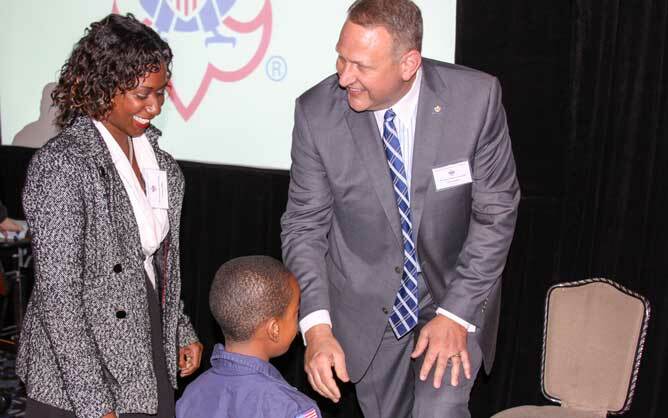 Together, they provide Scouting programs emphasizing community service, leadership and character development to more than 15,000 youth and their families. 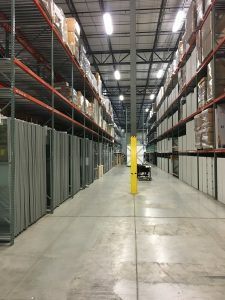 As part of their support for these programs, the two councils own and maintain six camps in Massachusetts and New Hampshire totaling almost 3,000 acres. 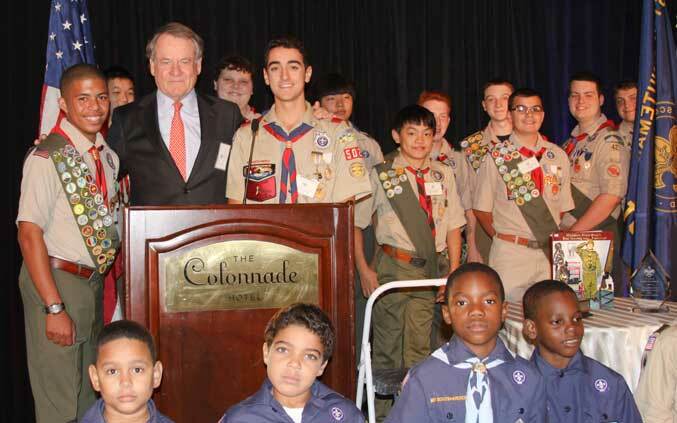 Funds raised at the Salute to Scouting provide vital support for the councils’ programs, one of which is a vibrant inner-city initiative that benefits more than 1,600 boys age 7 to 12 from at-risk neighborhoods in Boston, Roxbury, Dorchester, Hyde Park, Jamaica Plain, Lowell, Lawrence Lynn and Haverhill. 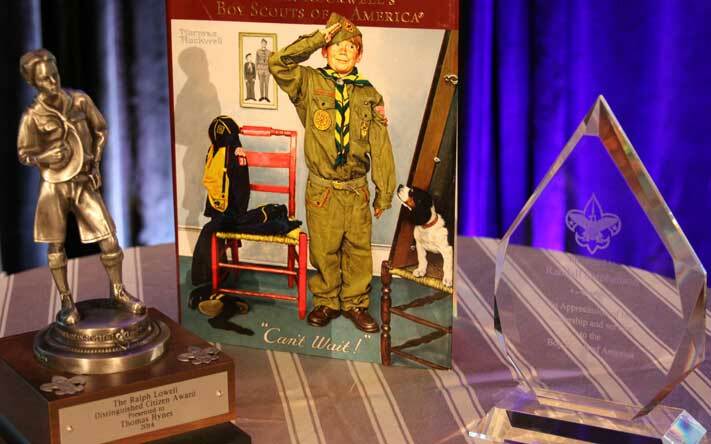 The Salute to Scouting is a celebration of achievement and Boston Minuteman Council’s biggest public event each year. The positive impact of community involvement at many levels and in many forms was evident. 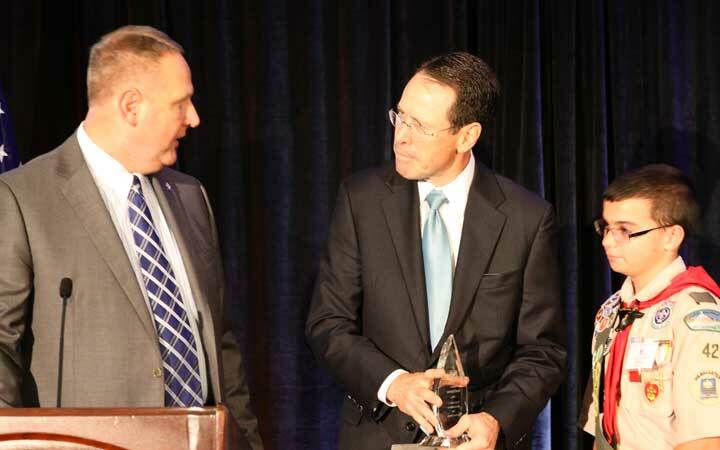 Thomas J. Hynes Jr., the co-chairman and CEO of the commercial real estate firm Colliers International, was honored as the 2014 recipient of the Ralph Lowell Distinguished Citizen Award. Kevin Phelan, also a co-chairman at Colliers, presented the award. Mr. Hynes, a long-time supporter of youth development and philanthropy in Boston, supports a long list of charitable organizations and is a member of numerous institutional, professional and corporate boards. He is also an avid sportsman with a special affinity for the outdoors. 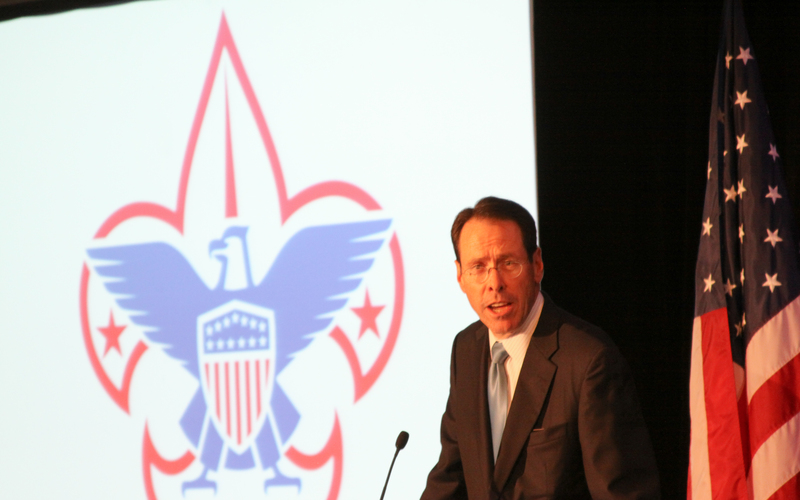 Randall L. Stephenson, the chairman and chief executive officer of AT&T Inc., delivered the evening’s keynote address, speaking on the topic “Scouting Leadership.” Mr. Stephenson serves on the National Executive Board and is the incoming president of the Boy Scouts of America. His other contributions to the business world include serving as chairman of the Business Roundtable, an association of CEOs of leading U.S. companies, a director of Emerson Electric Co., and a member of the PGA Tour Policy Board. Jack Klinck, the executive vice president of State Street Bank Global Strategy and New Ventures, welcomed all participants and honored guests at the start of the evening’s program. George Donnelly, the executive editor of the Boston Business Journal, provided welcome remarks and closing remarks for the dinner portion of the program and introduced Chuck Eaton, the executive director of Boston Minuteman Council, who gave attendees an update on the Council’s programs. 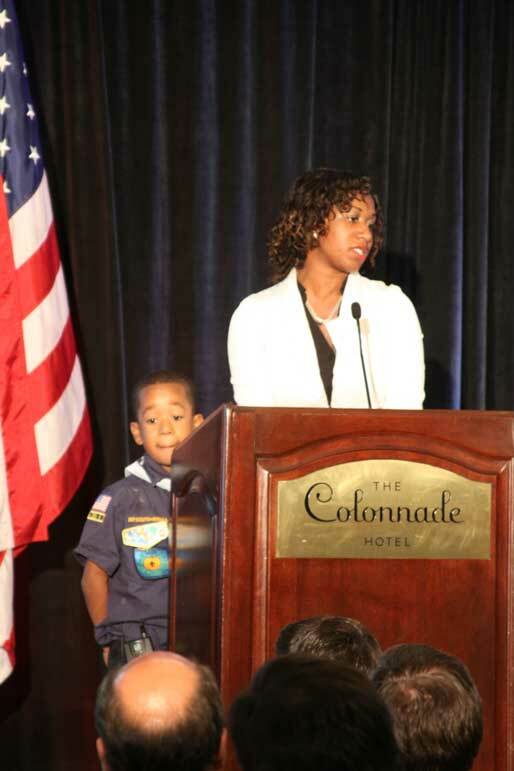 Tanisha Hollins, with her son, Malachi Payne, an 8-year-old Bear Scout with Pack 11 at The Mather School in Dorchester, spoke on the subject “Scouting in Our Family” from the multiple perspectives of a single mom and a ScoutReach program specialist and a young active Scout. Boston Minuteman Council offers numerous opportunities for participation by parents and other adult volunteers as well as Scouting-age youth. Visit the Council’s website to learn more.